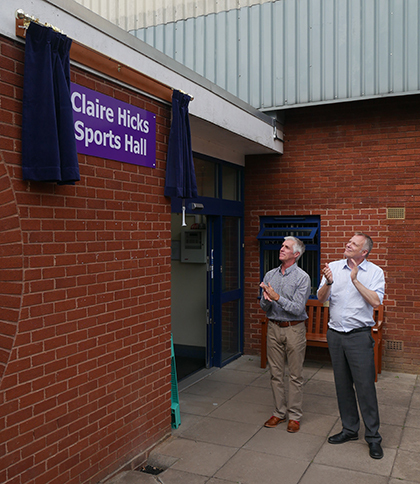 This week staff at The Sixth Form College, Solihull honoured a much loved former colleague by officially re-naming the College Sports Centre as the Claire Hicks Sports Hall. Claire Hicks taught in the Sports’ department at the College since 1994 until losing her battle with cancer earlier this year. Having given so many years dedicated service to the College, benefitting so many students over the years, it was fitting to remember Claire in such a permanent way. Staff came together earlier this week for the official renaming ceremony and were joined by Claire’s husband Paul and many of her friends and family. A plaque was unveiled and guests enjoyed Pimms and strawberries in what was a celebration of Claire’s life and her undoubted contribution to the College. For Claire’s closest colleagues, having the building they work in renamed after their close friend has been a fitting tribute. They recall what an outstanding teacher Claire was and the many excellent opportunities she provided to students, including fieldtrips abroad in years gone by. 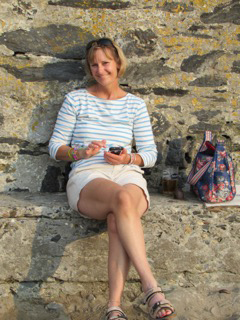 Claire will also be remembered for the fitness classes she ran for staff every Friday in term time, which provided a fun and healthy opportunity for aerobic exercise and social interaction.